It’s a debate as old as time. Where did the Cuban sandwich ‘truly’ begin? Who makes the ‘most authentic one’? Where do you go to get one? What may be the best answer to all of these questions is: the one you like the best is the best for you. From Tampa to Miami and Key West to Cuba, the Cuban sandwich has its history in the Cuban culture and the love of heritage is in every bite. If the question is ‘where did the Cuban sandwich begin?,’ the answer will depend on whom you direct your question to. Tradition says it’s believed to have been introduced by the Taino tribe in Cuba. With the blending of cultures throughout the country, each group added their own flair to the makings of this delectable creation. Europeans, mainly Spaniards, are known to have introduced the pork and ham to the whole thing. 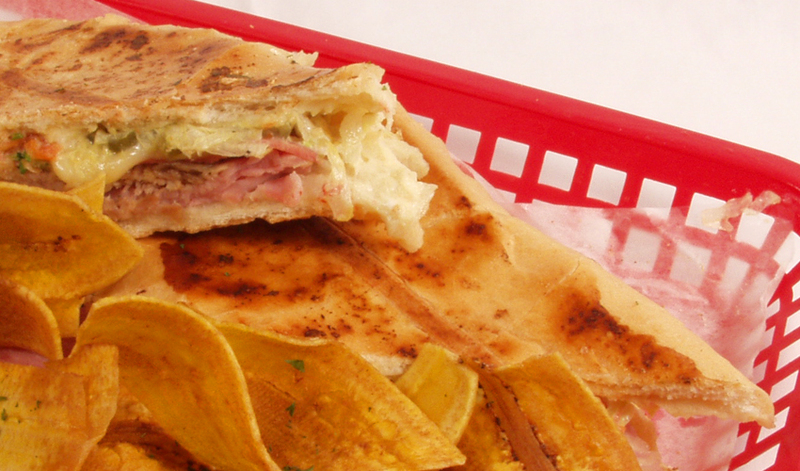 Part of the charm of the Cuban sandwich comes from its simplicity. With no vegetables in sight and far better when slathered in butter, the magic between the spiced bread comes with a story of heritage, pedigree and authentic culture. In keeping with tradition, the best sandwich maintains its purity from the top of the first slice to the bottom of the second. There’s a story behind each diagonally sliced bit of goodness, but the debate for leader of the club rages between those from Tampa and those from Miami. Those in the first US Cuban community, in Tampa, believe that their ancestors are responsible for the invention of this sacred sandwich. 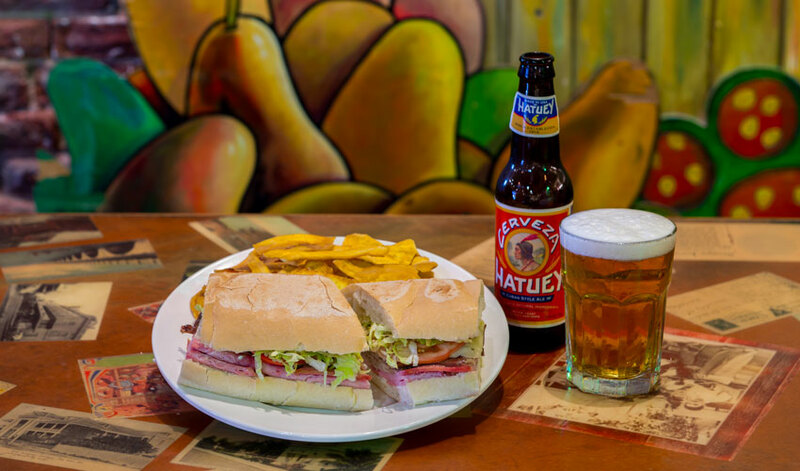 They agree with all of the traditional ingredients; but if you’re from Tampa, your Cuban sandwich has the added element of salami. Those in Miami say different. Miami, the city that believes South Florida – not west Florida – is the Cuban capital of the United States, doesn’t agree with their western counterpart. First, you’d never see salami factor into the likes of a Cuban sandwich and second, the city of Miami swears that theirs is the city that put the likes of the Cuban sandwich on the map. For many reasons, the likes of the authentic dish still thrives today. It’s inexpensive and easy to find. It’s packed with flavorful meats and cheeses, served on crusty herbed bread and is readily available. Locals count on it and travelers look for its deliciousness to add to their hungry bellies and Instagram® feeds. Be it from south or west Florida, an authentic Cuban sandwich packs quite a punch. It’s simple to make, it often costs less than $10, it’s sliced diagonally and is always better with butter. Perfect for a snack or lunch on the go, this yummy goodness hits your taste buds, tummy and thirst for a bit of culture. Often paired for a late breakfast or early dinner with the traditional drink of café con leche (coffee with milk), the Cuban sandwich manages to cross borders without leaving home.